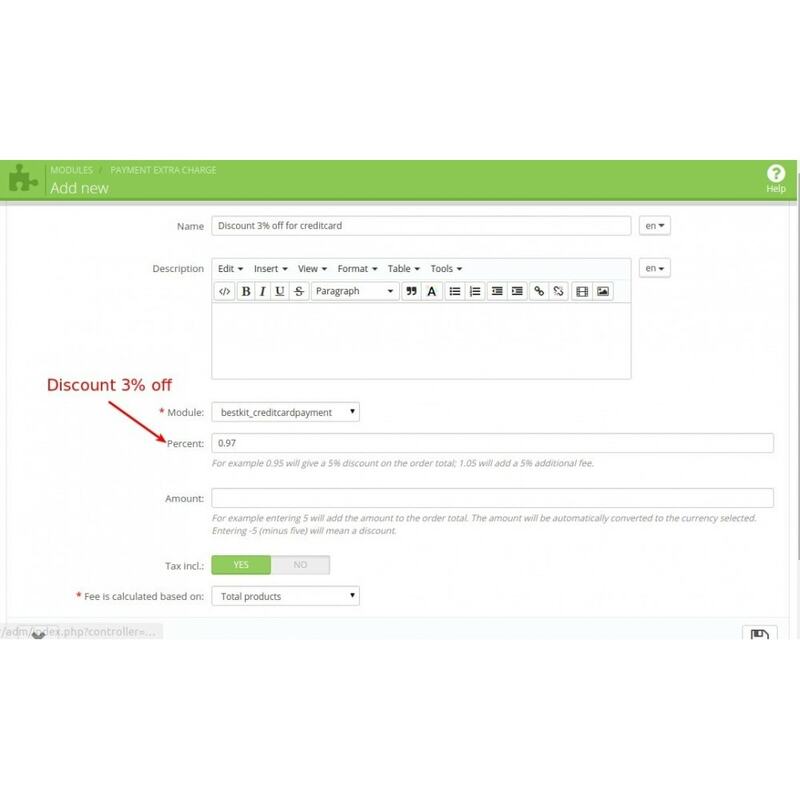 This module let's you add fees & discounts based on the payment method chosen. 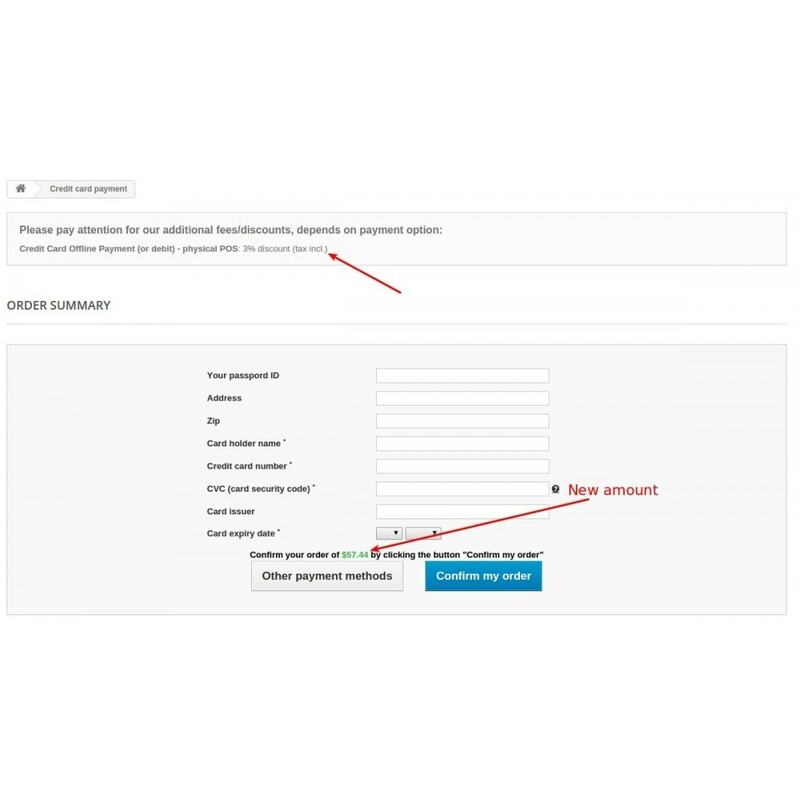 You can choose to add an extra fee to any payment method, or give a discount to encourage the usage of one. 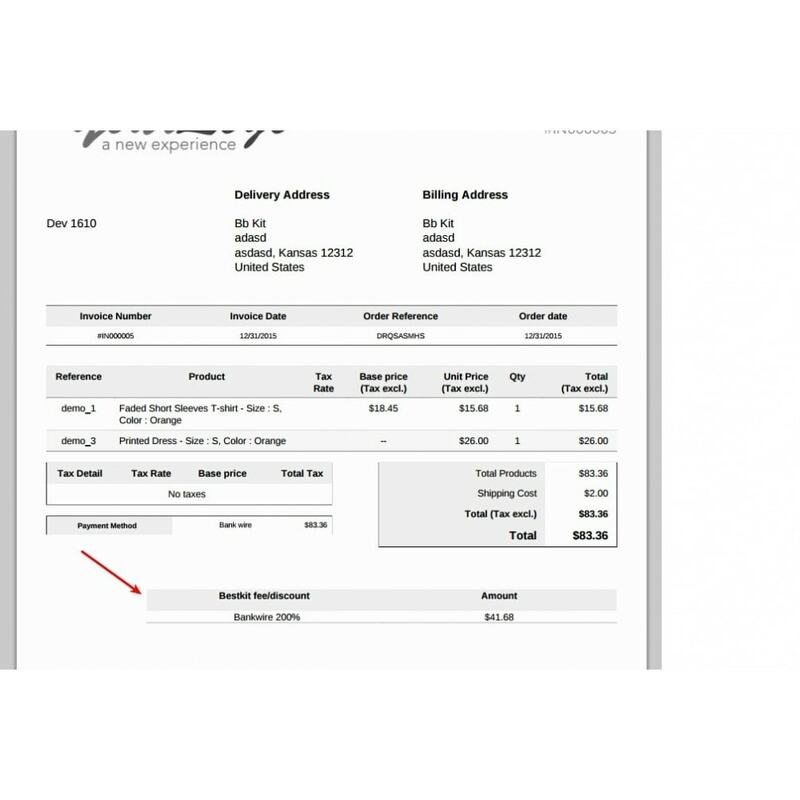 Most of the payment services charge an additional fee for processing the payments. 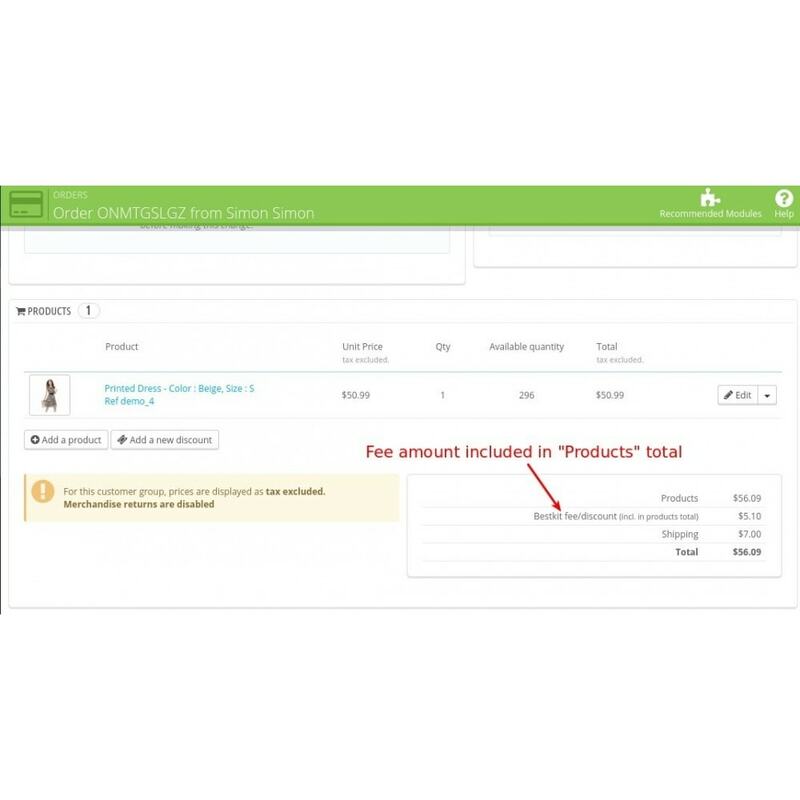 Since this fee is different for every payment method, it is hard include it into product price. 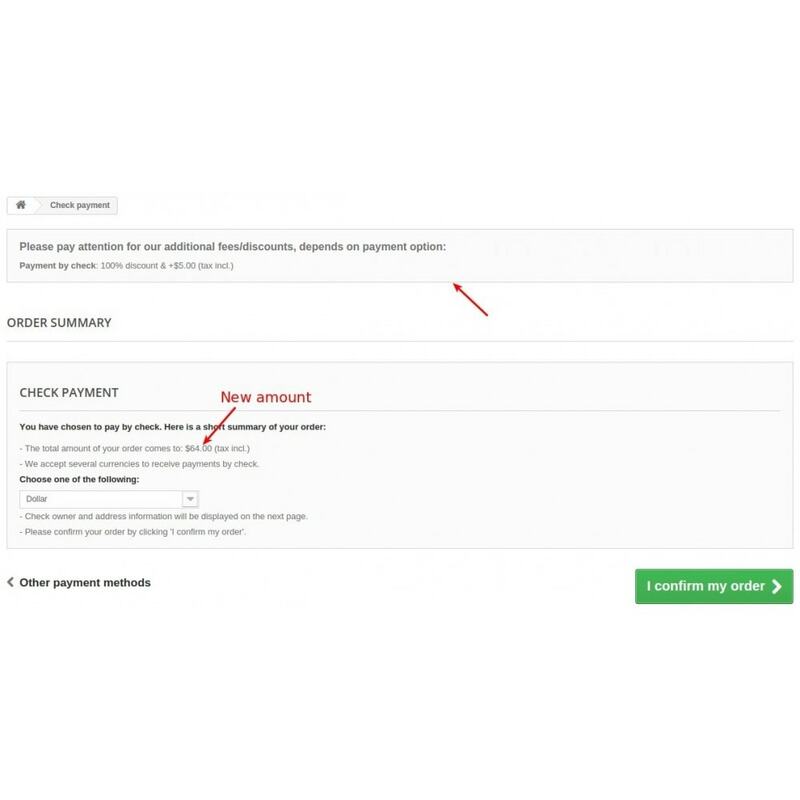 By adding the payment fees for such payment methods, you won't have to make such calculations — fee will be charged automatically. 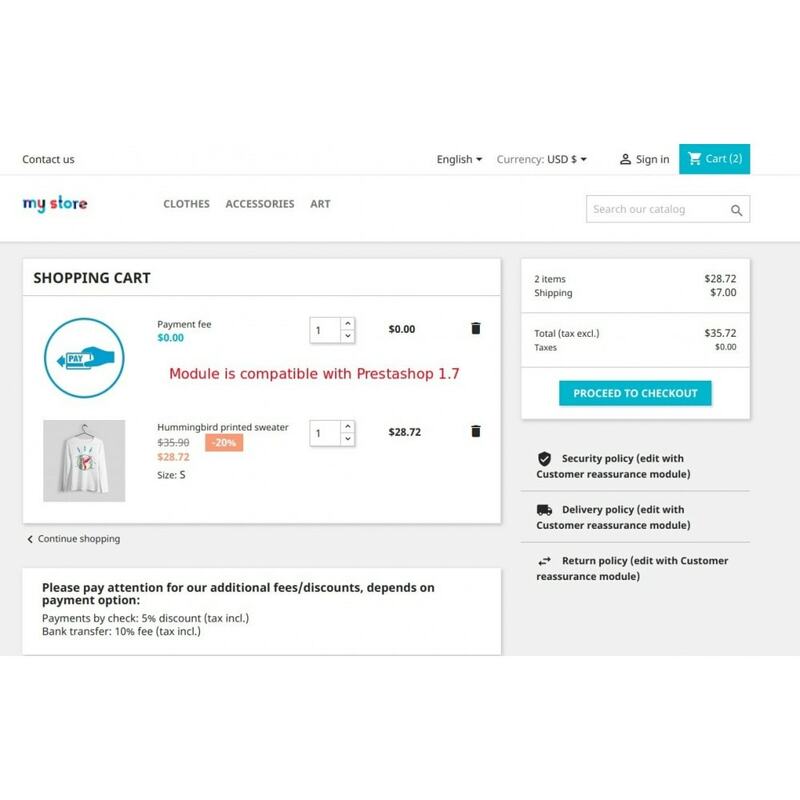 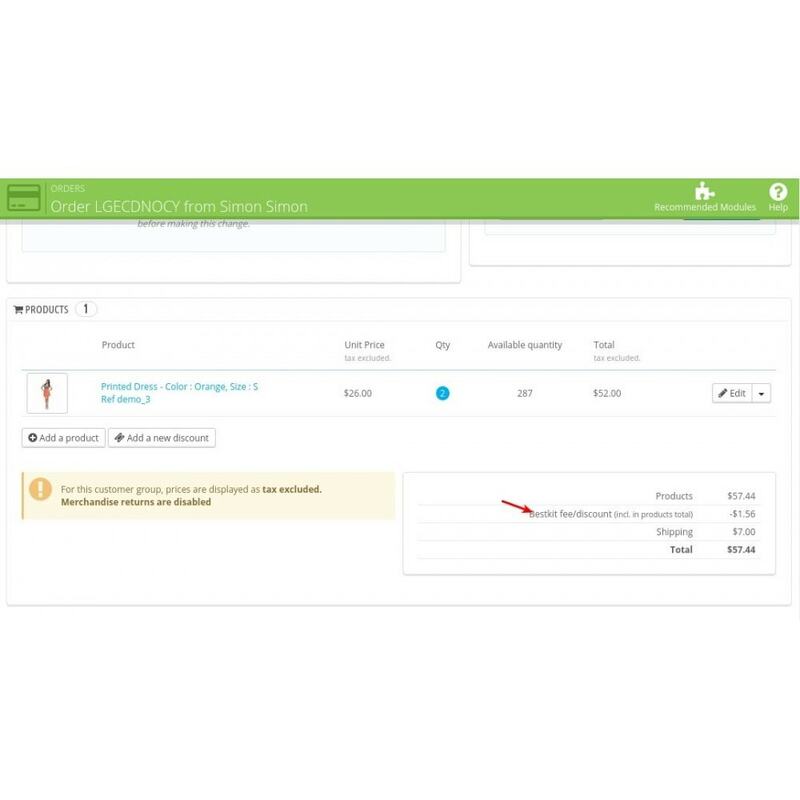 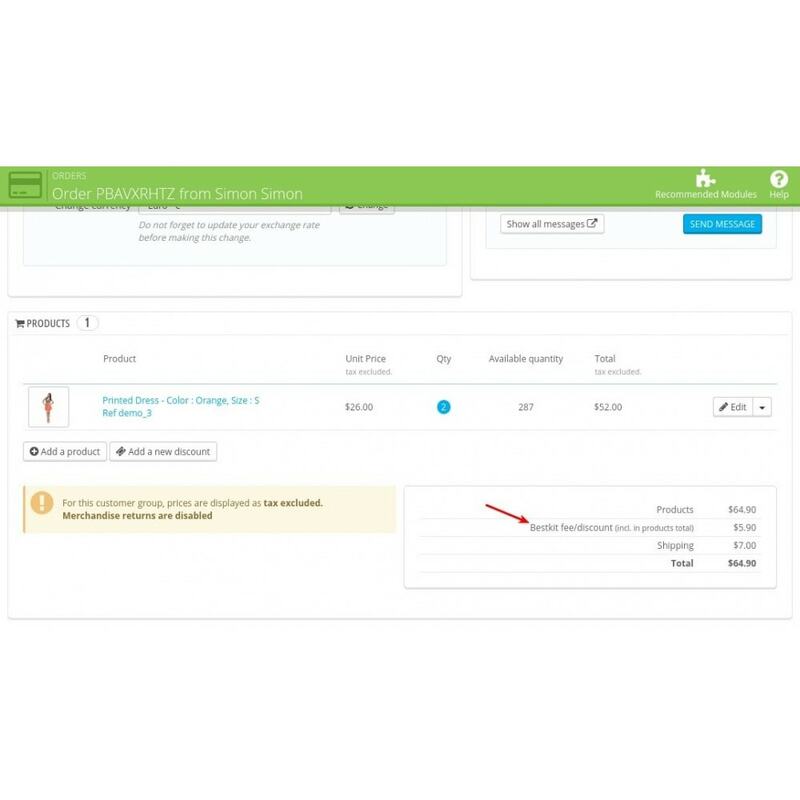 Since Prestashop 1.7 our module adds additional product to cart as a fee. 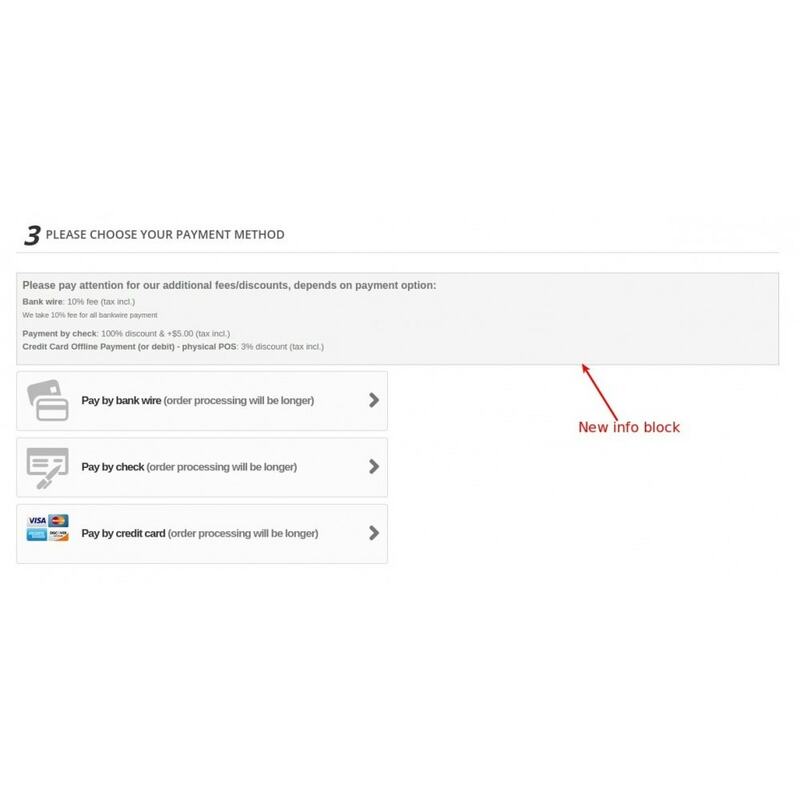 This approach helps us to be able to compatible with custom payment modules developed by other vendor and support all payment methods installed at the your store. 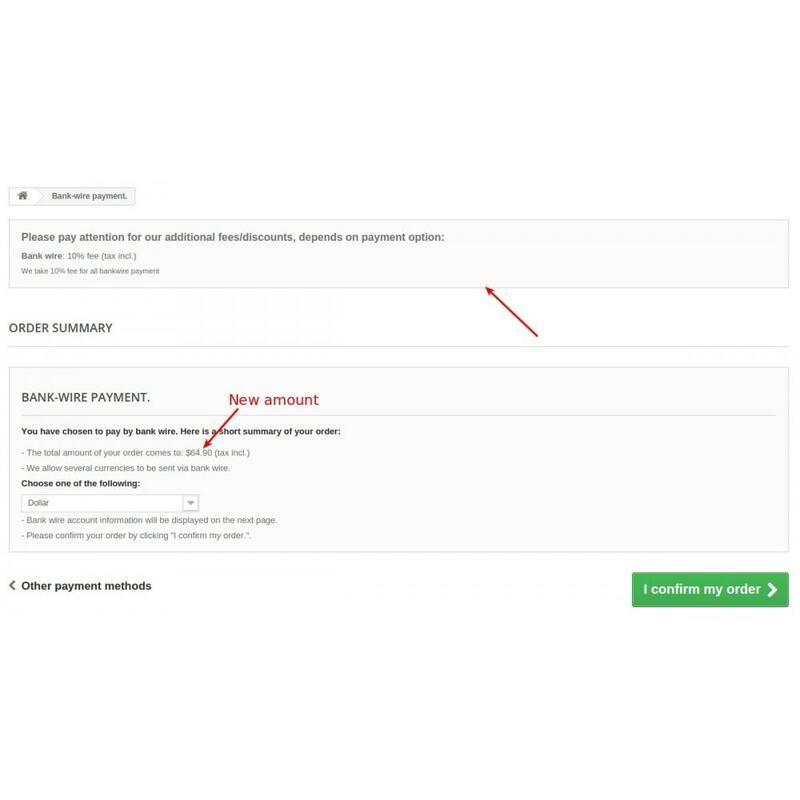 You decide what fee you will charge for every payment method. 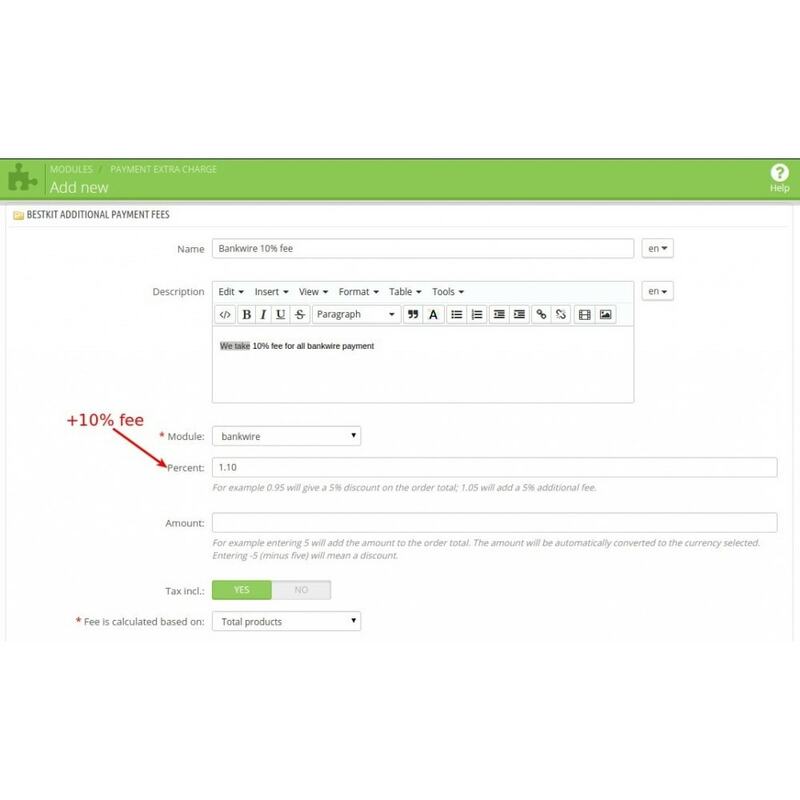 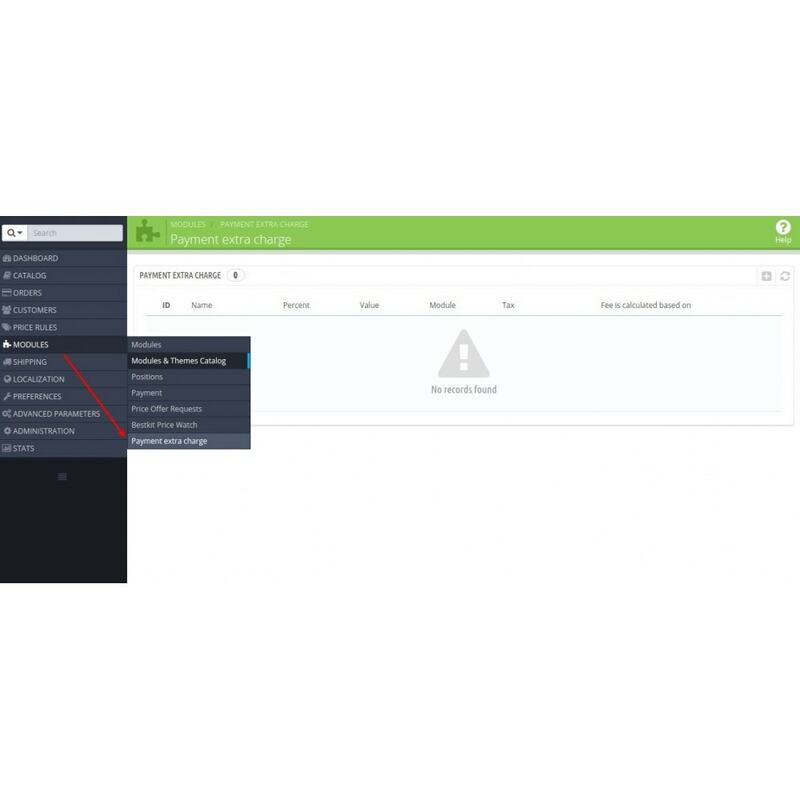 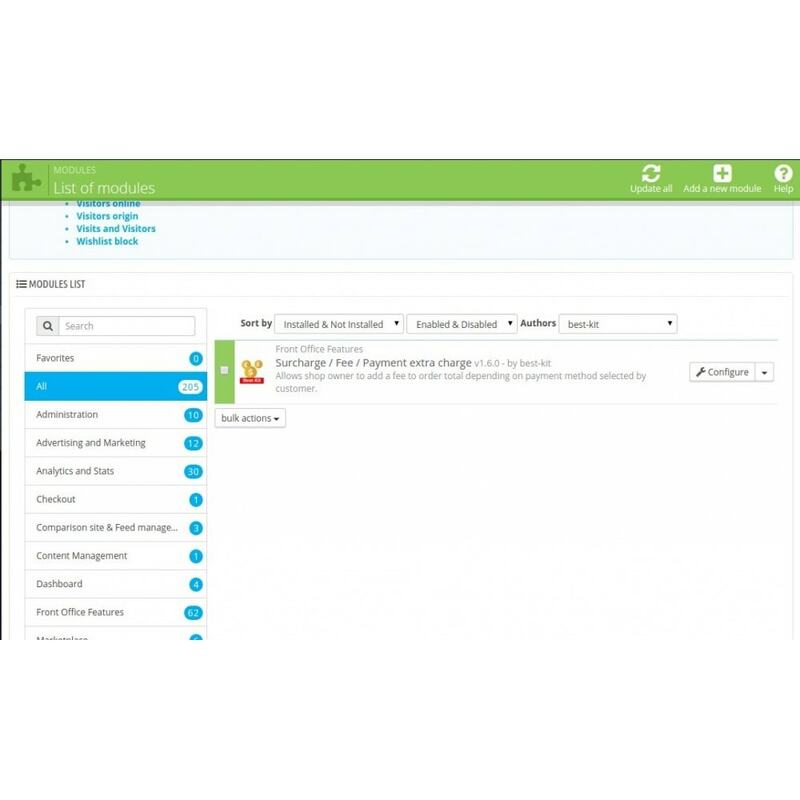 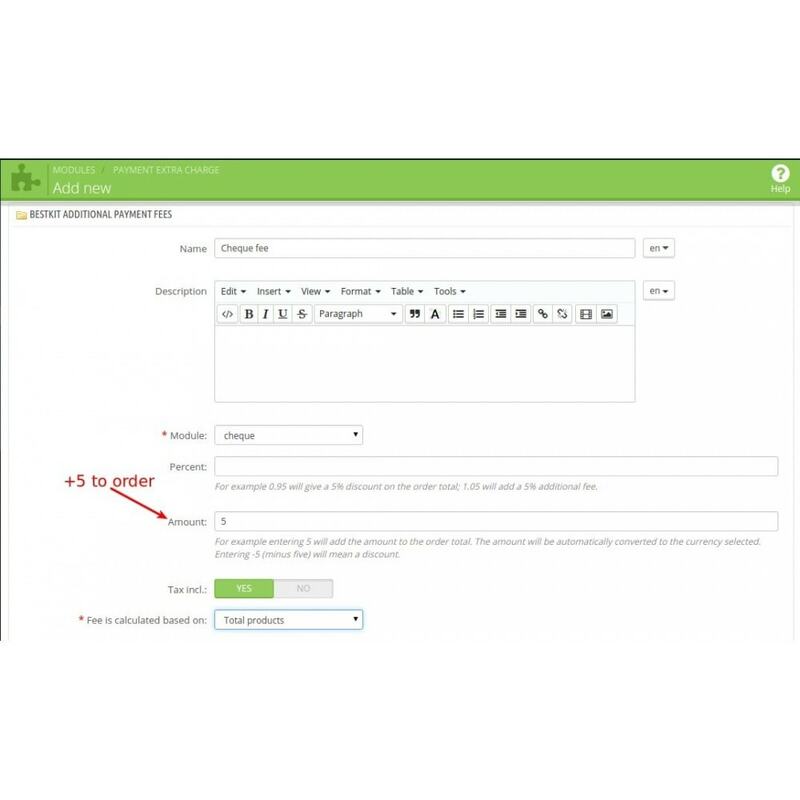 You can change text for total fee in admin panel for every language. 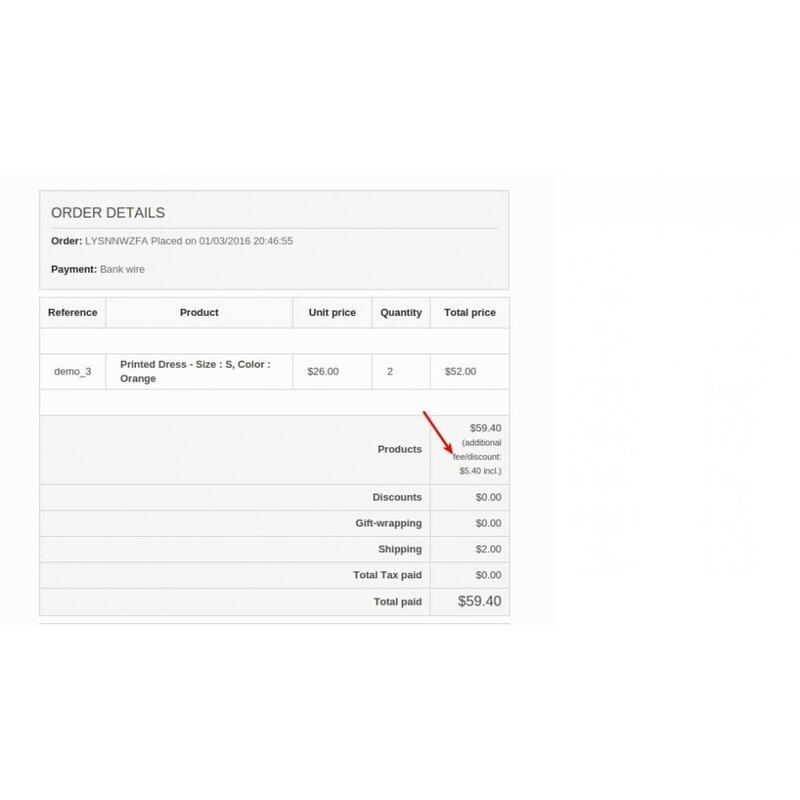 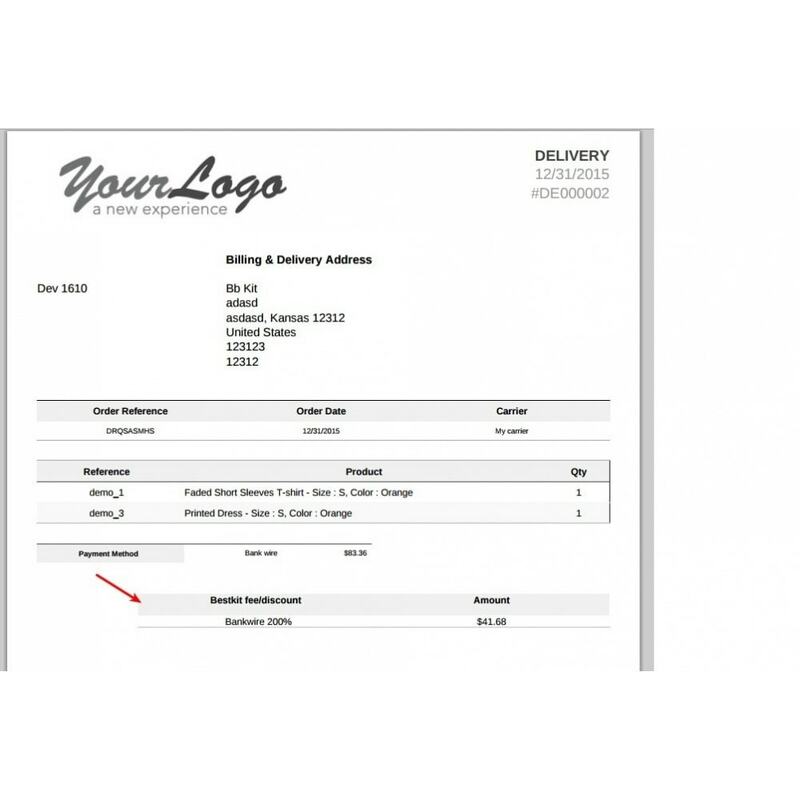 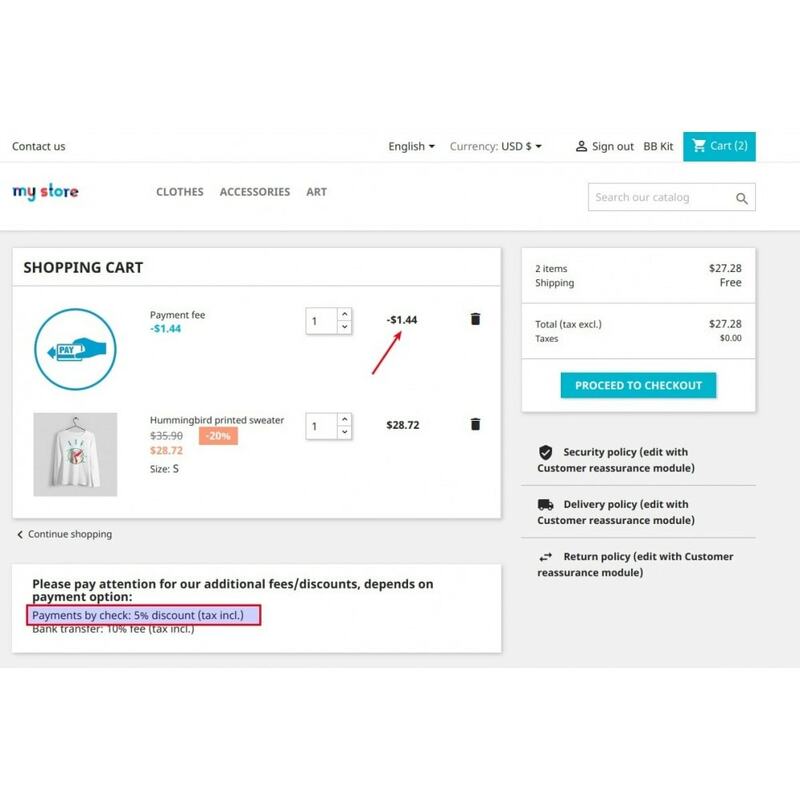 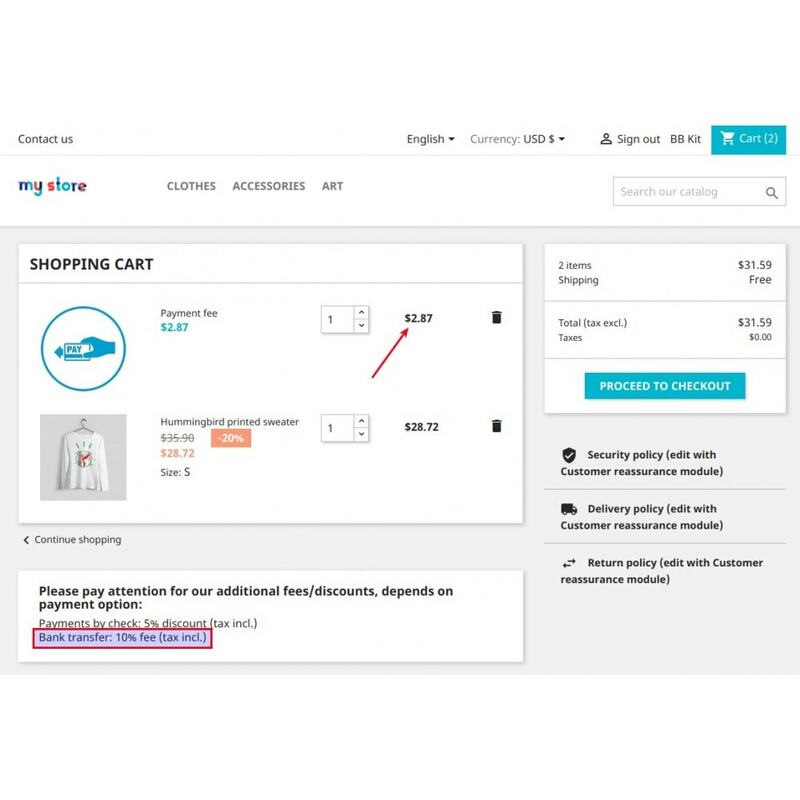 Fee value is visible at the invoice and delivery PDF’s.